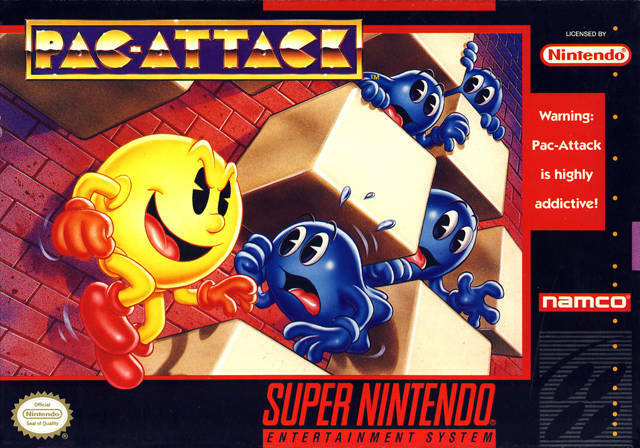 Pac-Attack for Super Nintendo is the combination of both Pac Man and Tetris. Blocks of various sizes drop from the top of the screen, and you have to arrange them to form even lines. There are different play modes to mix the action up a little, and there are 100 different levels in all.